Many of us like to include our dogs when we are around water. 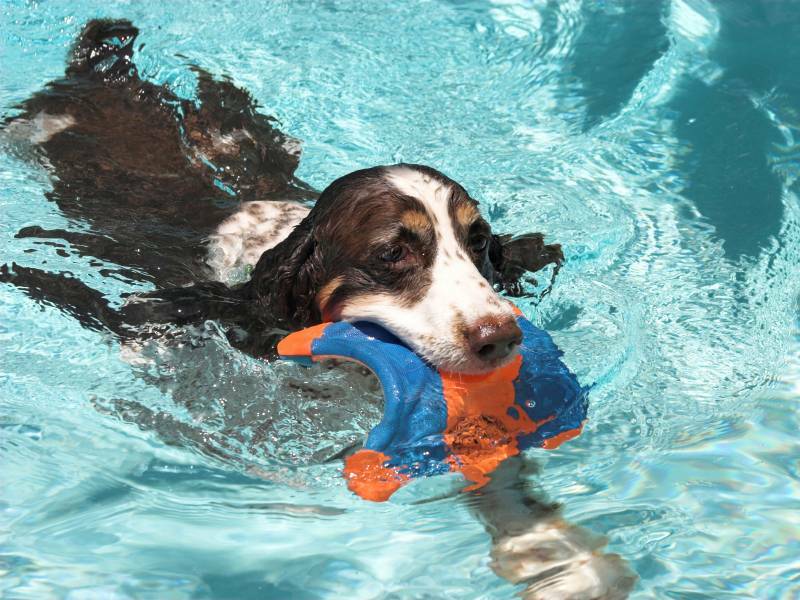 This is the first in a 4-part series about keeping your dog safe around water. With the heat in full swing for the summer you've probably got your mind in the water, thinking about relaxing in a nice cold pool, hiking up to a lake, rafting in a river, or just kicking back and soaking in some sun on the beach. You're probably thinking about bringing Fido along with you for the adventure because why not? He'd love to enjoy the summer heat with some water, too! Before you strap the leash on there are some things that you need to consider about water safety and your furry friend. Because, after all, everyone wants to have a worry free, fun time in the water! First and foremost, your dog has to know how to swim! It’s best to use a pool with a slope, or a lake where they can comfortably pace themselves at their own speed instead of a quick drop off or rough waters. Be sure to come prepared with lots of treats and toys, remember, it's supposed to be a fun experience! Be sure that it's an area that you're comfortable with and allows dogs, because if you're stressing out, so is Fido! Start off with the shallow waters and throw the ball into the water, it helps if you're in the water also so he knows that it's safe. If he comes in to retrieve the toy, reward him with a treat! You can also walk into the water holding the dog, let him know that it's okay and that it’s safe. Let him hover above the water until he starts to kick his feet and release him. Know your dog’s limits and don't let him swim too much the first time. Once you are comfortable with his ability you can let him try it on his own. But remember, never let your dog swim alone or stray very far your side. Finally, if your dog needs to be on or in the water for long periods of time you may want to consider a canine life jacket.